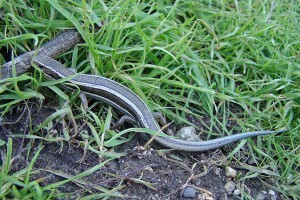 Links to the USGS Western Ecological Research Center’s Field Guide to the Reptiles and Amphibians of Coastal Southern California have been repaired. Photos of reptiles and amphibians have been migrated to the BFS Photo Database, and a number of new photos have been added. Check them out! 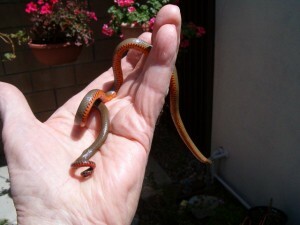 One of the new photos — a San Bernardino Ring-necked Snake (Diadophis punctatus modestus). ©Stanleigh Jones. 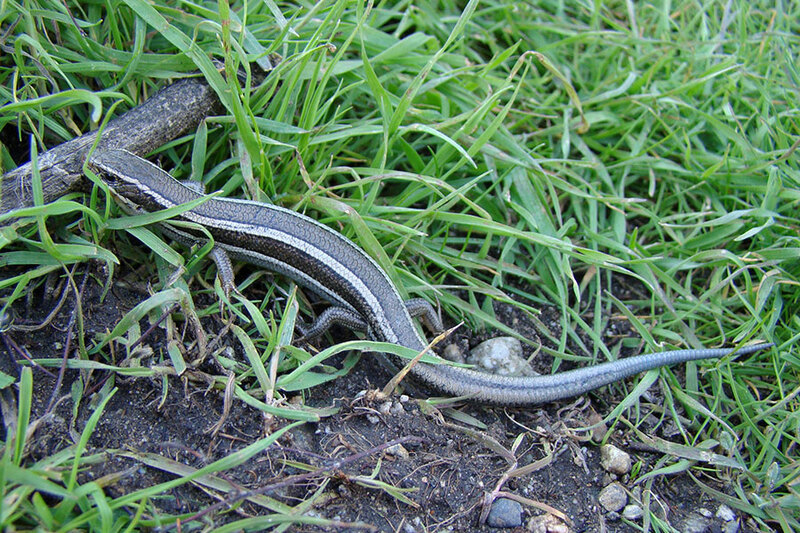 Skilton’s Skink (Plestiodon skiltonianus skiltonianus) at the BFS. ©Jonathan Wright. The subspecies designation has been removed from Anaxyrus boreas halophilus (Southern California Toad), so it’s now just listed as Anaxyrus boreas (Western Toad). 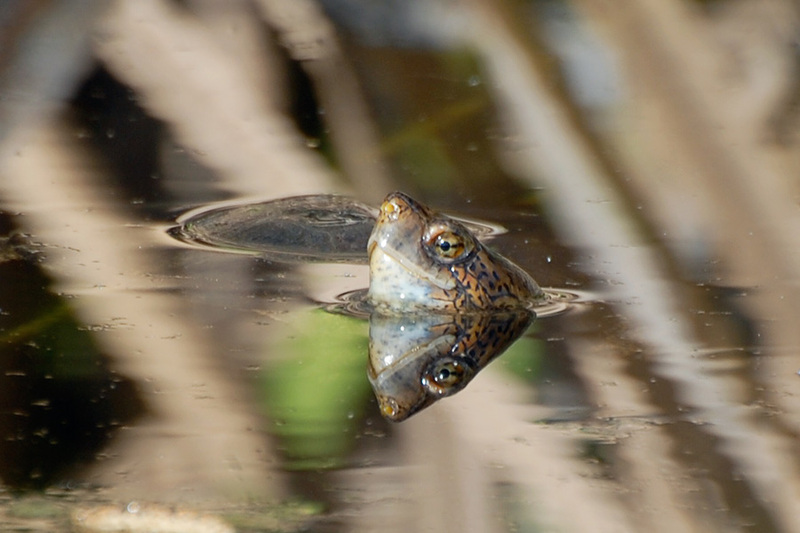 Recent molecular evidence suggests that Anaxyrus boreas is a complex of species that do not comform to the traditional limits of species and subspecies, and Crother (2012) has consequently dropped the subspecies names. 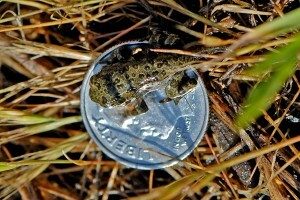 A newly metamorphosed Western Toad (Anaxyrus boreas). 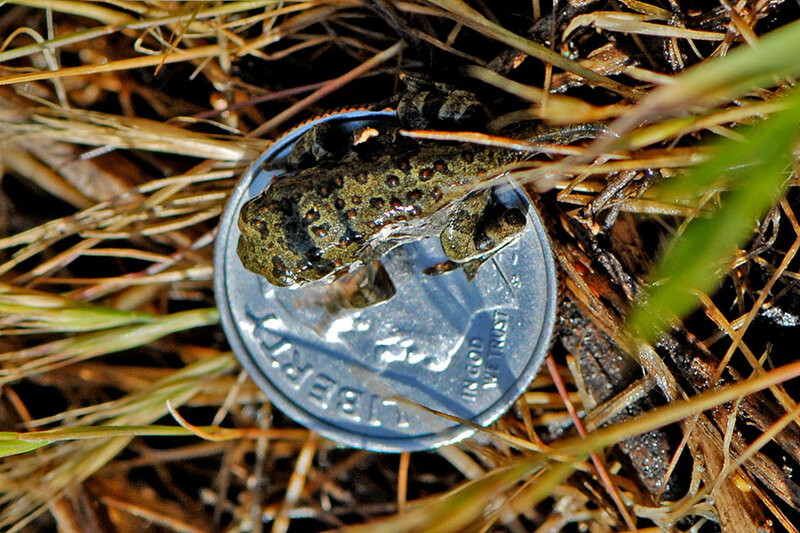 The toadlet hopped right onto the dime we were using as a scale marker. ©Nancy Hamlett. If you have any interesting reptiles or amphibian sightings or get any nice photos, please pass them along to the BFS Webmaster. A Western Pond Turtle (Actinemys marmorata) in pHake Lake. ©Nancy Hamlett.